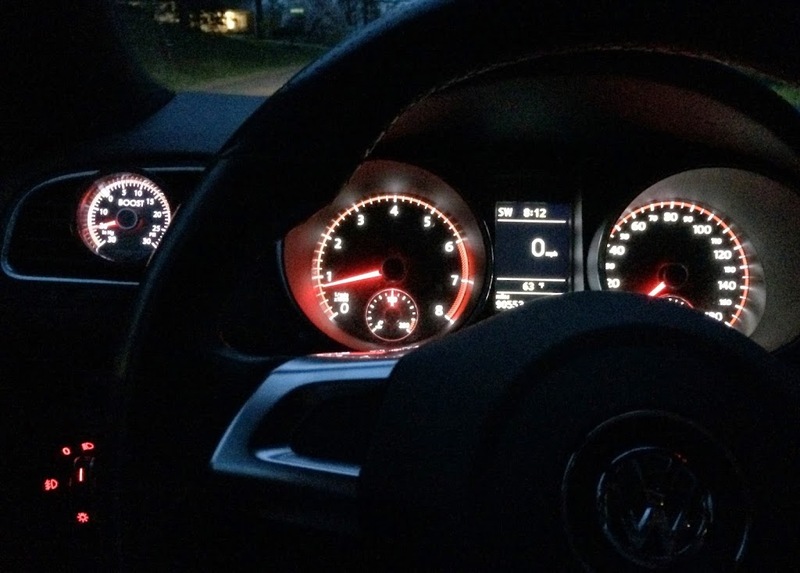 So not too long ago introduced you all to my 2011 MK6 VW GTI. The GTI has recently passed the 90k mile mark and I have managed to keep the car stock this whole time (which is difficult for a guy like me). But now the time has come to tap into the potential of the turbocharged hatchback. I took advantage of the fact that the car needed some basic maintenance done and instead of going the straight OEM route I hatched a plan to wake the car up a little. My goal was to install what was required to support an APR Stage 2 ECU tune…my local VW dealership is an APR dealer! 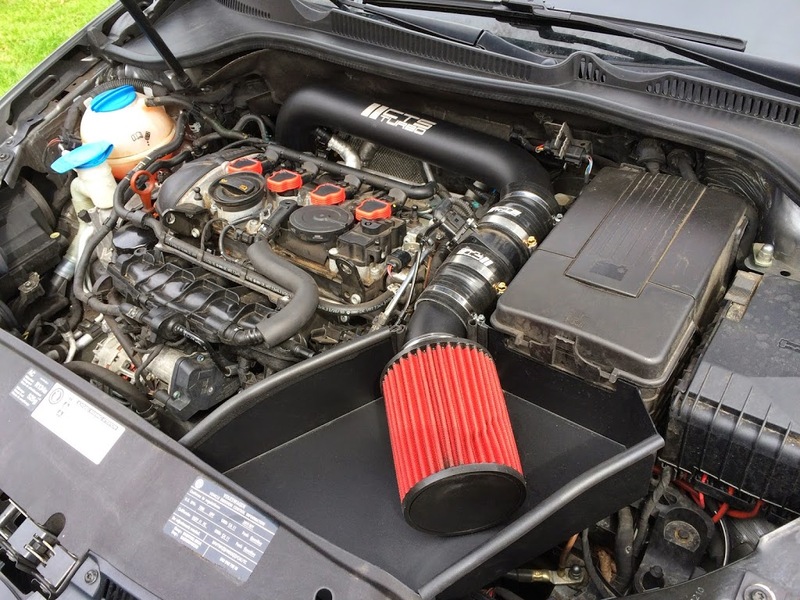 So first on the list was a cold air intake. I chose CTS Turbo intake because for the price you received a well designed, well made system that replaces all the factory piping. As a side note the the intake made the turbo and diverter valve slightly more audible…..which I like. I also installed an APR 3″ down pipe. Essentially, I selected the APR pipe because it still has a cat (meaning it is legal). I also liked that you can go to a Stage 2 tune with the upgraded down pipe and stock exhaust. Next came the dealer installed APR Stage 2+ ECU tune. I was able to get four programs installed (with the ability to switch in between): Stock, 91 Octane, 93 Octane, and 100 Octane! The service tech tried to install the Valet program in the 4th slot since he said I’d never use the 100 octane program file…..I quickly corrected his assumption. I also got the new APR Mobile dongle so I could switch tunes via my iPhone just for the geek factor. I could also read and clear engine codes and conduct data logging…..really cool stuff! Below is a quick crappy video I made demonstrating the APR Mobile interface. Then came some of the basic stuff like installing a ‘D’ revision diverter valve. 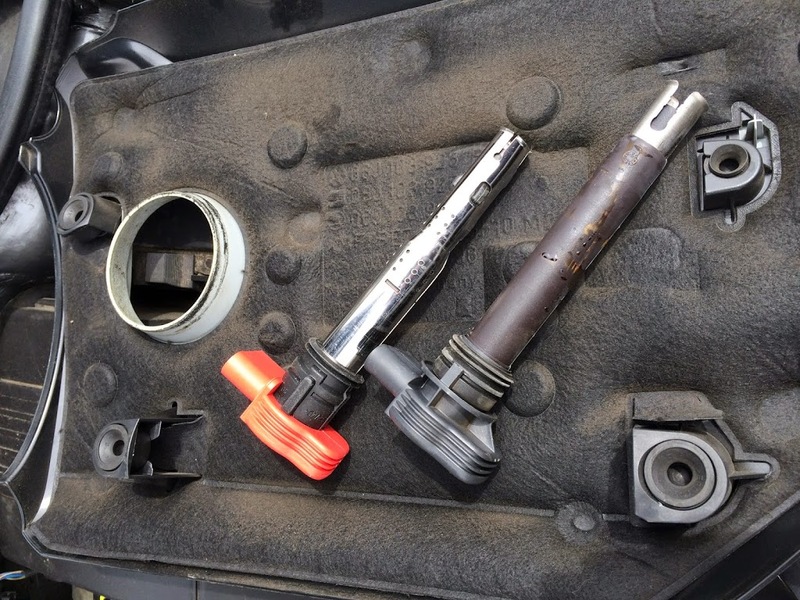 This is a VW/Audi revised part that super-cedes the unit containing a rubber diaphragm (which tend to tear causing a boost leak) with one with a mechanical piston. 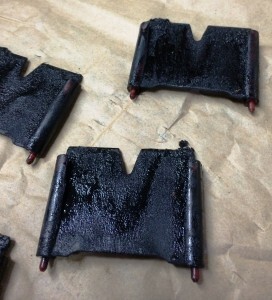 I swapped in coil packs from an Audi R8 (they are red) and NGK plugs to better suit the ECU tune. 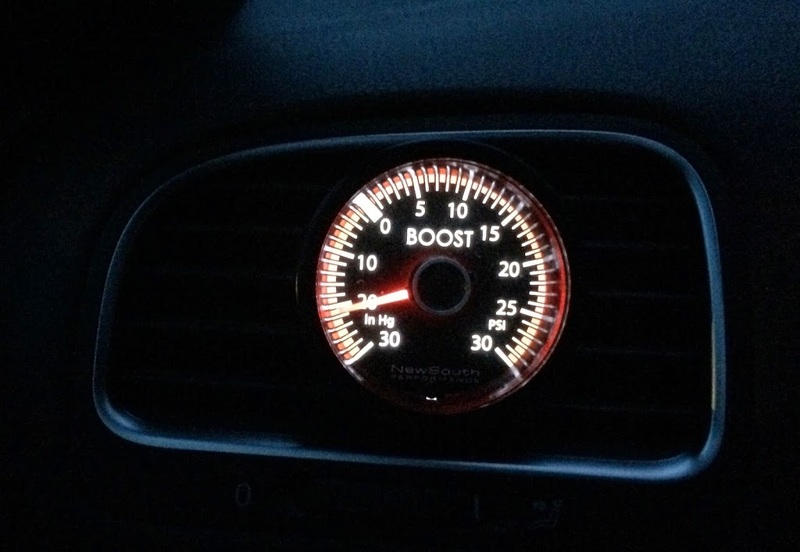 I also installed a vent mounted New South boost gauge which matches the OEM VW gauges. 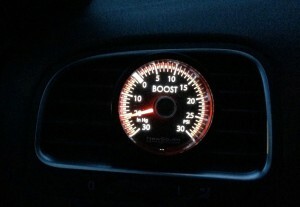 New South ‘redline’ boost gauge matches OEM lighting. Vent mounted New South boost gauge. 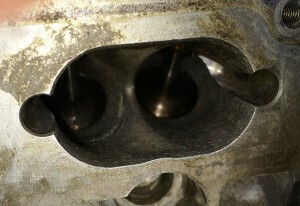 Lastly, I pulled the intake off the car and cleaned out the carbon deposits on the valves. 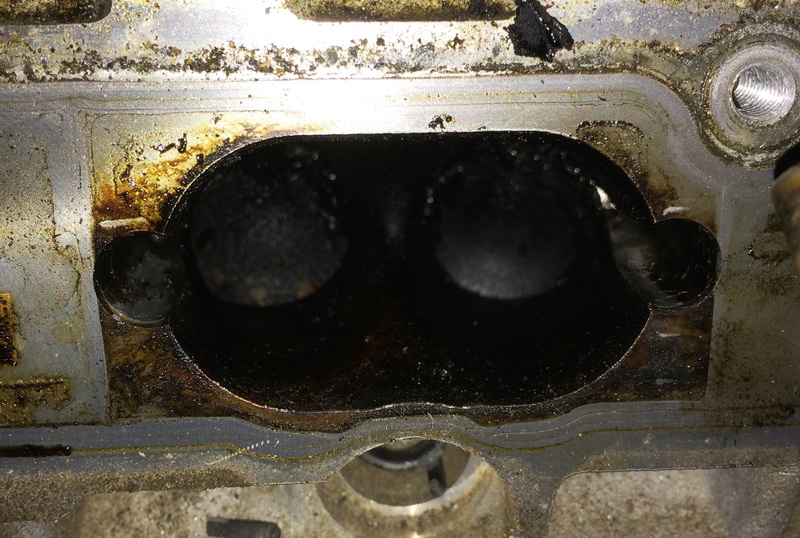 This is a common occurrence on direct injection engines since fuel does not pass over the valves to cool and clean them. This was a royal PITA! During the replacement I actually changed the gaskets and re-sealed the injectors. « Previous Article Apparently the GT350 was just the beginning! Next Article » Blue Monday!